Martin “Papi” Santana, 76, passed away peacefully on July 19, 2018, surrounded by family who were accompanying his homecoming in a chorus of prayer. He was predeceased by his wife of 51 years, the late Anna Santana (Betancourt). A resident of New Britain, Martin was born March 12, 1942, in Palo Solo, San German, Puerto Rico to the late Tomas Santana Olivera and Candida Lantin Justiniano. Martin was a member of the Army National Guard stationed at the old New Britain Armory. He remained an active member of St. Mary’s Church/San Joaquin Parish over 55 years, where he was a Cursillista in the Cursillo Movement, past leader of the religious outreach group Comunidad de Bases, church usher, member of Santo Nombre (Holy Name Society), bus driver in the past for parishioners, played on the church baseball team, and a volunteer in St. Vincent de Paul Society, where he was honored for more than 40 years of service. He and late wife Anna were Foster Parents for a countless number of children in the state of Connecticut. He worked at GE in Plainville, Conn., and for New Britain Machine in New Britain, Conn. Retiring from Emhart (Black and Decker) in Berlin, Conn. He was a member of the International Association of Machinist and Aerospace Workers Union, Local # 1137. Martin leaves three daughters, Athena (Tina) Santana, of New Britain, Conn., Silvia Santana of Concord, N.H., and Idaly Centeno of Hartford, Conn. He has three brothers, Jose, and Ramon Santana from Puerto Rico, and Rev. Angel Rivera of Hollywood, Fla., two sisters, Vivian Riera- Llantin of West Hartford, Conn., and Haydee Rivera of New Britain, Conn. He leaves seven grandchildren, and many nieces, nephews. Faith, family, and fellowship guided Papi’s life. His extended family included Delvis A Delgado, and especially the Pabon family of New Britain and Puerto Rico. He was predeceased by a brother, Reynaldo Santana Llantin, a sister, Alida Santana-Llantin, a nephew, Anthony Rodriguez, half-brother, David Camacho and various other half brothers and sisters. The family wants to express their gratitude for the care of Martin at the Hospital of Central Connecticut and Hospital of Special Care in New Britain. The staff at all levels were so supportive during his many stays at each hospital. A special THANK YOU to WRYM 1120 AM, Hector Cardona Sr. and the staff for sharing his love of the Puerto Rican Typical Music everyday! Funeral services will be held on Thursday at 10 a.m. at Erickson-Hansen Funeral Home, 411 S. Main St., followed by a Mass of Christian Burial at 11 a.m. at St. Mary Church/San Joaquin Parish, New Britain. Burial will be in St. Mary Cemetery. 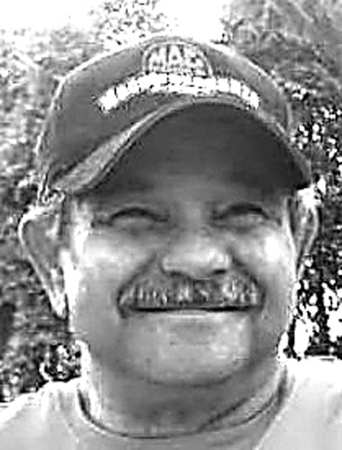 Calling hours will be Wednesday evening from 5 to 8 p.m. at the funeral home. Martin’s favorite shirt was the traditional Guayabera, if you have one, the family asks that you wear it. Donations are greatly appreciated and can be made directly to Erickson Hansen Funeral Home in the name of our loving Martin Santana. GOD bless everyone and pray the Rosary in his honor. Posted in New Britain Herald, on Monday, 23 July 2018 20:14. Updated: Monday, 23 July 2018 20:17.